The fixed 20° pitch allows discrete top caps and internal covers, without the need for gaps and rafter ends. 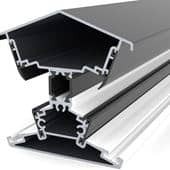 This keeps sightlines maximised, with a 66% smaller ridge than standard systems. 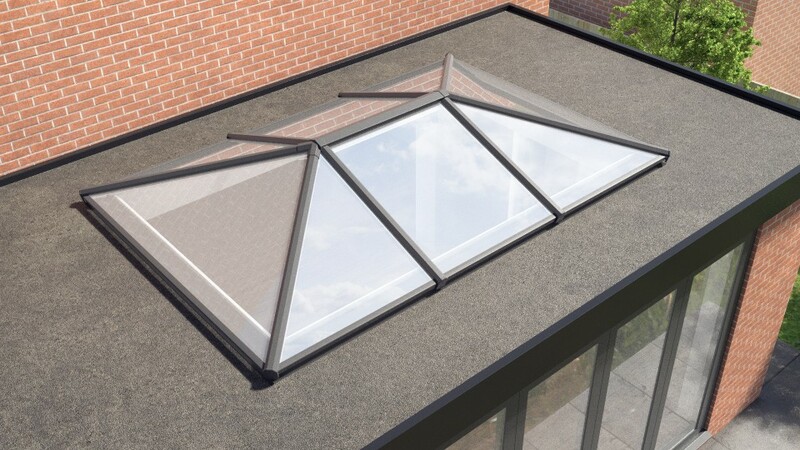 Our roof lanterns are 65% more thermally efficient than others in the market. 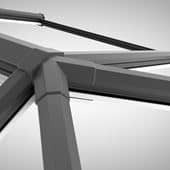 We use polyamide nylon, glass composite thermal breaks, which are 533 times more thermally efficient than aluminium. Roof lanterns adopt a hard wearing aluminium exterior for a premium look. Our contemporary style supports the ridge solely by the hip rafters for a slim, clean look. This allows you to enjoy both function and form. We offer two way, three way and contemporary designs to choose from with sizes up to 3m x 6m. This means that our aluminium roof lanterns can be tailored to any property, traditional or modern. Our aluminium roof lanterns encompass extra thin frames made of strong, robust aluminium, which allows for an increased degree of natural light. This makes them a beautiful addition to any room. Opting for a subtle black finish for your perimeter beam ensures the lantern roof comprises of an almost seamless glass aesthetic. This allows our roof lanterns to offer an impressive, striking aesthetic. View the Stratus Brochure for More Information! We offer an exceptional range of aluminium roof lanterns, utilising the market-leading design from Synseal. 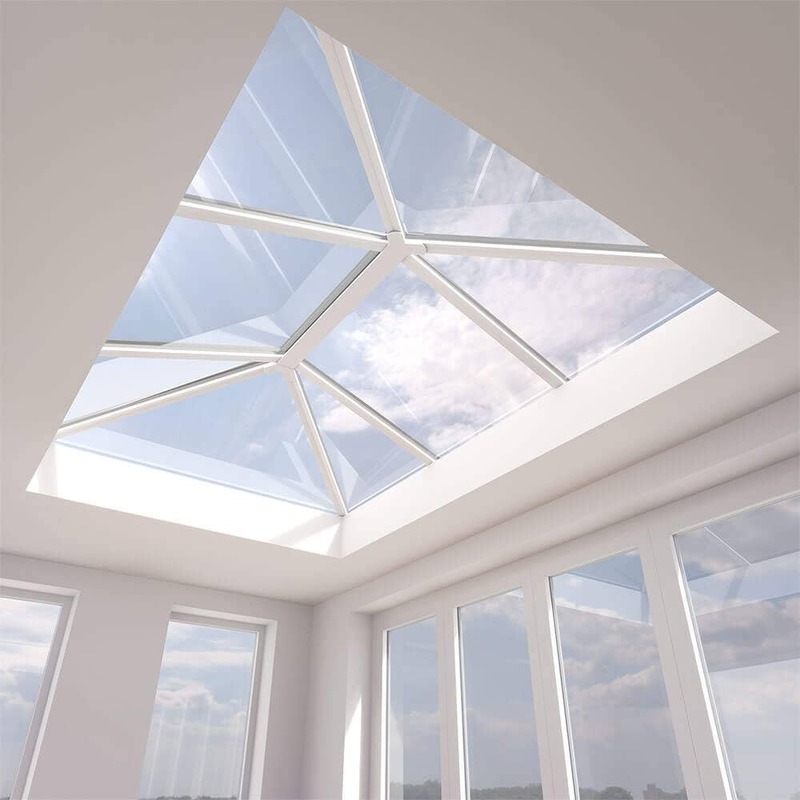 These roof lanterns are ideal for bring a spacious feel to any interior. We install our aluminium roof lanterns efficiently and quickly, ensuring you can enjoy your new home improvement sooner and easier. Our team of installation experts will guarantee the perfect fit. The complementing features of our contemporary, stylish aluminium roof lanterns make them a highly sought after option. This is achieved by the innovative technology that really sets them apart from other designs. The innovative thermally broken system incorporated into our aluminium roof lanterns are exceptional at delivering high thermal performance, ensuring the warmth remains in your home throughout cold weather. This standard of performance not only promises a more comfortable home, it also allows you to benefit from less energy use. Overall, this will show a notable reduction in your heating costs and carbon footprint. The lantern features a thermal break that works to separate the inner and outer aluminium skin. This intelligently traps in pockets of warm air and prevents them from escaping your home. We also offer contemporary solar control glass that reflects sun rays away from your home. This feature prevents the ‘greenhouse effect’ and offers consistent comfort throughout the year. 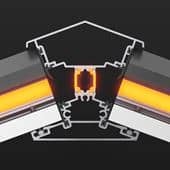 Get in touch with us today to find out more on our competitive aluminium roof lantern prices. We’ll make sure we tailor your price to your exact specifications. Alternatively, you can get an online quote in just a few moments through our online quote engine or if you have any questions then please get in touch with us via contact form should you require any more information regarding our roof lanterns or our other services.